Every bride is absolutely in love with their wedding dress and would wear it everyday if they could. 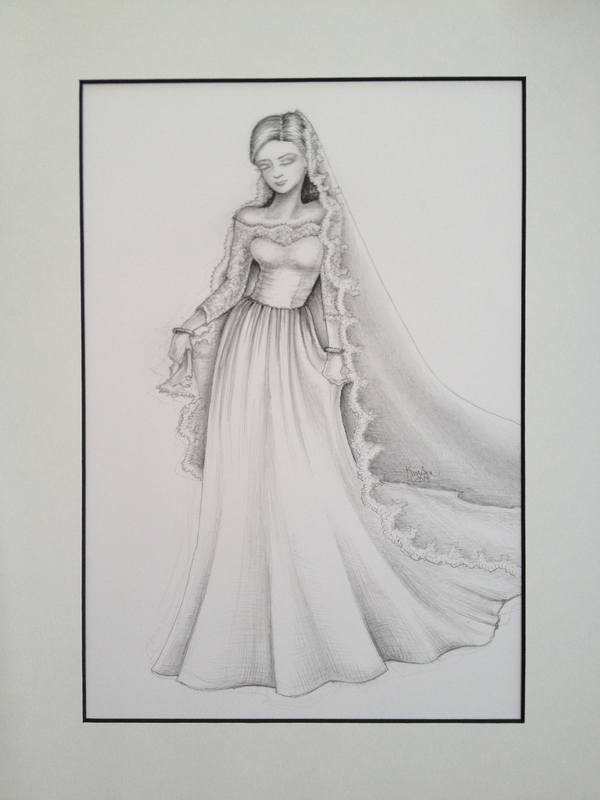 I was so honored when my dear friend, Kimann Schultz, gave me the most beautiful illustration of me in my wedding gown. I could not have asked for a more amazing gift. My husband and I have the walls of our home covered in artwork that we have purchased together or friends have commissioned for us. There is something so special about having a beautiful piece of artwork that a dear friend created for you. It adds such a wonderful element and story to the piece. This fabulous fashion illustration will be cherished forever. Author-illustrator Kimann Schultz resides in Indianapolis, Indiana with her husband & daughter. She also is the mother of two adult sons. Kimann “writes with pictures & draws with words.” She is an IU graduate with a degree in art history, her fashion illustration training received at Parsons & FIT, both in New York City and has produced numerous literary illustration as well as bridal & architectural portraits on commission. Kimann currently serves as president of the Fashion Arts Society, an affiliate organization of the Indianapolis Art Museum.